Maintenance is one of the mainstays of Gama Aviation’s extensive bizav offerings. GAMA Aviation (Booth P362) is exhibiting here just over a year after it formed GAMA Aviation Hutchison (Hong Kong) Ltd., a 50:50 joint venture with Hutchison Whampoa. The joint venture, which now operates three aircraft on behalf of their owners, is based in Hong Kong but also “has access” to maintenance facilities in Beijing. A former British Army helicopter pilot turned aerospace executive, Marshall has been running the operation in Hong for about a year now. 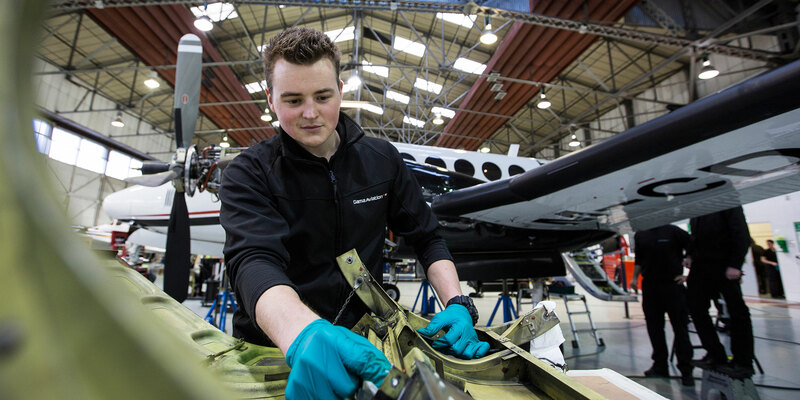 “It took a couple of years [before that] to establish the joint venture with Hutchison–up until a year ago when we booked some aircraft under management and put people in place. He admitted that “issues at play” included the problems at Hong Kong that business aircraft operators have been experiencing, due to congestion and lack of slots. “Slot management at Hong Kong is really serious–let alone parking and moving aircraft. We’re very much in the same game” as Jet Aviation­–which has established an FBO in nearby Macau. GAMA Group chief marketing officer Duncan Daines, said: “I think for a long time we’ve been open about opening more FBOs around the world, but we’re not going to enter a turf war with the likes of Jet Aviation and Signature. We’re building what will be a fantastic new facility at Sharjah, which has great proximity to Dubai.” He added that GAMA is looking to open FBOs on a similar model, finding places where there are not lots of other FBOs. “Having too many FBOs on an airfield is not good [for anybody]. In the Asia Pacific there are plenty of opportunities for FBOs,” as there are few in Asia in general. He suggested the Thai market was of particular interest. Daines said GAMA could offer China its worldwide capabilities, from both the U.S., Europe and beyond. “From a [maintenance] point of view we’ve got a whole team of [technicians] in the U.S. that can easily fly out,” he said. GAMA’s headquarters remains at Farnborough in the UK, but in recent years it has established Geneva, Sharjah and Glasgow facilities as well as ventures in the U.S. where it operates and support aircraft for membership operator Wheels Up. Most recently, it acquired Aviation Beauport, an FBO operation in Jersey, UK, which is now GAMA Aviation Jersey. This has added four more aircraft to GAMA’s fleet “and brings light jets into the charter fleet,” said Daines. In Glasgow, GAMA “just went through the formal launch of Hangar 2,” noted Daines, while in continental Europe, he said, GAMA had just signed a contract for a hangar facility in Nice, France. “It’s an interesting bizav entry point, and movements can get intense there,” he said. Daines also said there would be some “interesting news” on the helicopter side soon, which GAMA+ hopes to announce before this year’s EBACE show in Geneva.